E-commerce has experienced considerable growth since the dawn of the internet as a commercial enterprise. It eliminates time and geographical limitations and can streamline operations and lower costs. The online retailer's quarterly net revenue has grown from just more than $4 billion in the first quarter of 2008 to more than $51 billion in the first quarter of 2018, according to Statista. M-commerce is short for "mobile commerce." This is largely a subsection of B2C transactions, but the rapid penetration of mobile devices with internet access has opened new avenues of e-commerce for retailers and their customers. M-commerce generally involves e-commerce taking place on mobile phones. F-commerce is short for "Facebook commerce." The popular social media site provides a captive audience to transact business, and many small businesses rely more on their social media presence than they do on traditional websites. 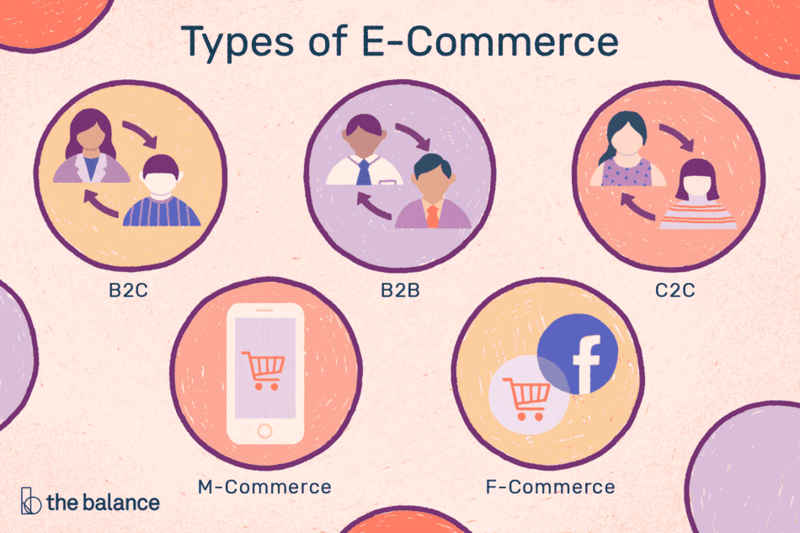 This type of e-commerce also is a subsection of B2C transactions and closely related to m-commerce. Many Facebook users access the site via their phones, and businesses often provide links to online purchasing options through their pages and posts. This type of commerce also extends to other social media, such as Instagram and Twitter. While B2C transactions get more attention from consumers and in the news media, B2B transactions represent greater volume in terms of dollars. For these transactions, both the parties are businesses, such as manufacturers, traders, retailers, and the like. Prices for some products may fluctuate day to day or week to week, so a system can be programmed to make a purchase if the price drops below a certain point. This approach helps keep expenses low.